Oceania is a widespread expanse of the world where the Pacific Ocean connects the nations. It consists of the countries Australia, New Zealand and Papua New Guinea – which are by far the largest ones – and the island nation groups of Polynesia, Melanesia and Micronesia. The continent is home to beautiful white beaches, coconut palm trees, magnificent coral reefs and impressive volcanic islands. This extensiveness makes the nations as diverse in nature as in culture. So you have big, cosmopolitan cities like Sydney on the one hand, and remote villages on one of the isolated islands on the other hand. However, there’s one thing that unites them all: the surrounding of the ocean. But if you’re looking for the perfect beach, you probably won’t find it, because there are countless beautiful spots that want to get discovered. So expect white-sand beaches, endless palm trees and a coastline built for long romantic walks. But not just the small island groupings have plenty to offer, also the big countries such as Australia and New Zealand. Australia fascinates with its famous Great Barrier Reef, the endless outback, great surf spots and a relaxed city lifestyle. New Zealand, however, is a country for nature and mountain lover. It’s a country for adventurer and for those who are seeking an untouched nature. So Oceania is definitely a must on everyone’s bucket list. Accommodation – Especially the bigger countries like Australia can be very expensive. But if you book early and stay during the Australian winter months you can already get private rooms from 40€/45$ per night. Hostels start from 15€/17$ the night. Food – It always depends on what you want. But an average meal will run you by 25€/28$. Of course fast food is a bit cheaper while at fancy restaurants you have to dig deeper into your pockets. Transportation – It’s hard to get around, but local busses are definitely the cheapest way. If you plan a longer road trip – let’s say from Sydney to Melbourne – you should think about renting a car since tours are very expensive. That way, you are also more flexible and can make a stop wherever you want. Cook your meals As simple it sounds, but cooking your own meal can be really good for your wallet. So you can buy a big pack of muesli, some vegetables, fruits, pasta and rice. With this you should be fine for a week while only spending 40€/45$. Drink less alcohol Drinking alcohol in some countries can be pretty expensive. For example a six-pack of beer is about 15€/16$. Either you use it sparingly or you just grab a juice or some water. Couchsurfing Staying at a place for free is a huge money saver! Also it’s great to get in touch with locals and get to know their culture. But if you do couchsurfing, I recommend buying a little gift for their hospitality. It’s always a nice gesture. Take local transportation If you just want to visit the big sights and if the distance is not too far, I always prefer walking. Otherwise take Uber or local transportation like busses, trams and subways. Oceania is the only continent that can be best reached by plane. To Australia or New Zealand, ferries hardly exist and other ships would take very long due to the far distances. Therefore, the best way to get to and around the two countries is flying. Especially in Australia you find plenty of direct flights. So you won’t have any problems getting from Asia to Sydney or from Cairns to Melbourne for example. However, the Pacific Islands have fewer direct connections from other continents. Fiji, for instance, is one of the few islands that can be reached from the USA and some Asian countries. Both Easter Island and French Polynesia have flights to Santiago de Chile. If you want to travel to more than one island, you have here the option to use ferries which are more common since the islands are closer together. 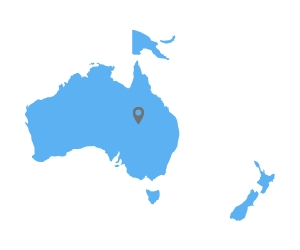 Since Oceania is located at the southern half of the equator, you can easily escape winter and spend your vacation in Australia or New Zealand instead. So the best travel time for these countries is between November and March when it’s warm and mostly dry. But be aware that it also gets really hot and the temperatures can rise above 40°C (°F). For most of the Pacific Islands the best travel time is from April to November. During this time, the wind brings nice tropical weather throughout the area. Just make sure where you will stay and how the weather will be in that area so you won’t have any problems. You agree to me saving your private data for sending you personalized news. You can withdraw your consent at any time.